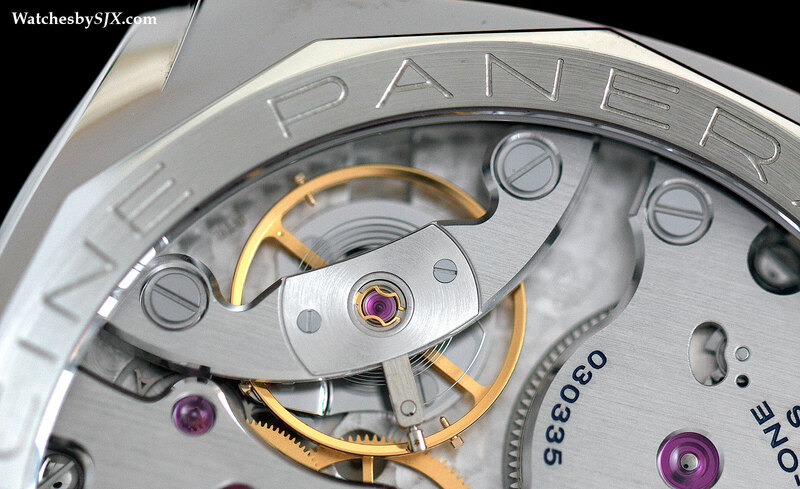 Panerai‘s history in watchmaking essentially boils down to two models: the wire-lug Radiomir of the thirties and the later Luminor with its signature crown locking mechanism that came in the subsequent decade. But in between the two was a transitional model, essentially a Luminor without the crown locking device. That timepiece is the basis for the whole Radiomir 1940 collection, including the brand new Radiomir 1940 Marina Militare 3 Days Acciaio PAM00587. Modelled on the Radiomir reference 6152/1, the Radiomir 1940 Marina Militare is feels just like a Luminor 1950 PAM372 with the crown lock mechanism removed. It looks and feels historically correct, right down to the “double pencil” gilt hands. 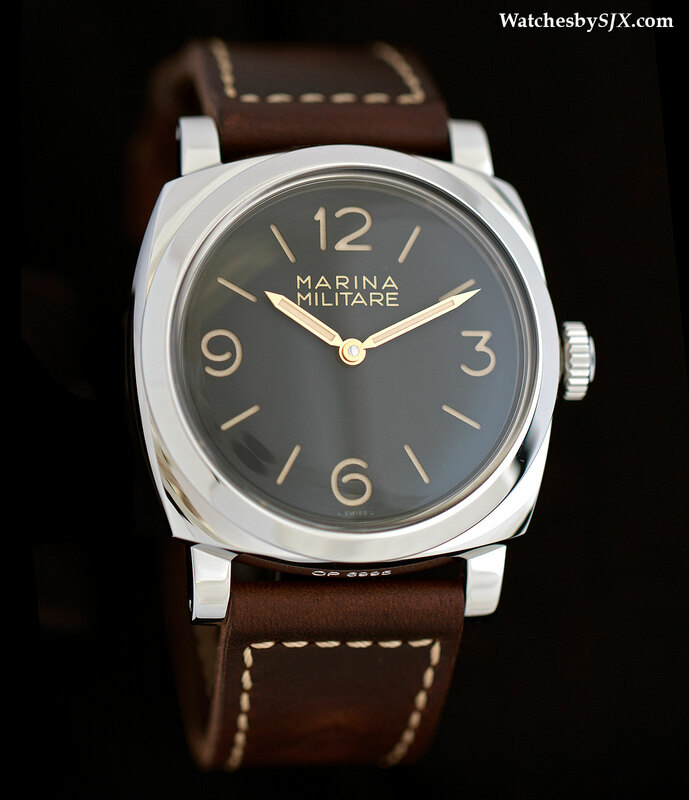 “Marina Militare” is a phrase that excites many a Panerai enthusiast as several times in the past Panerai stated, without exceptions, that the phrase would no longer be used on its timepieces as it belonged to the Italian Navy. 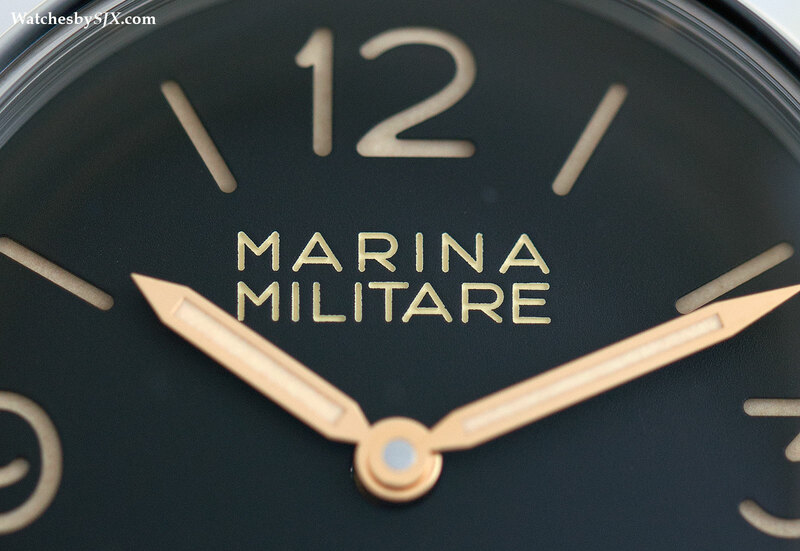 But “Marina Militare” inexplicably makes its way to the dial here. 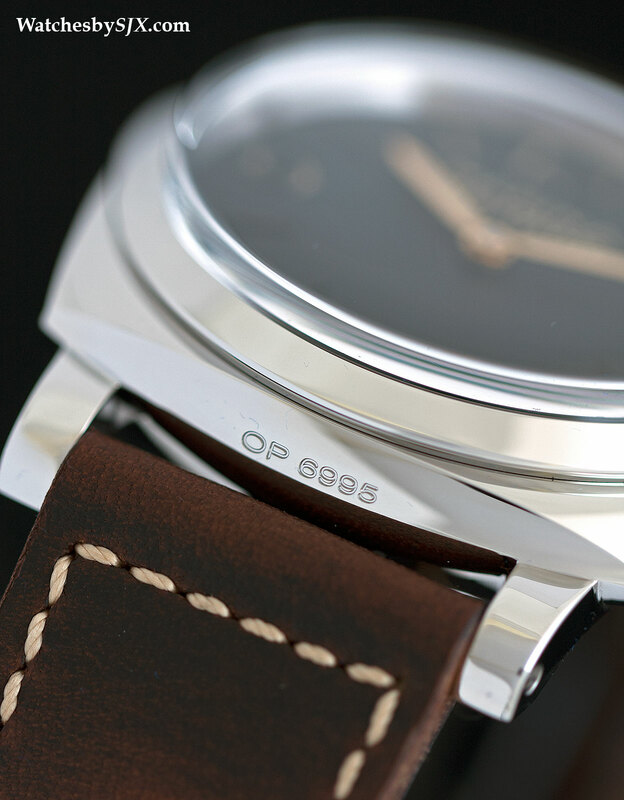 As with most of Panerai’s vintage-remake limited editions, the text is engraved and filled with lacquer. And the dial has a sandwich construction, consisting of a lower dial plate covered with luminous material and an upper plate with cutouts for the hour markers. 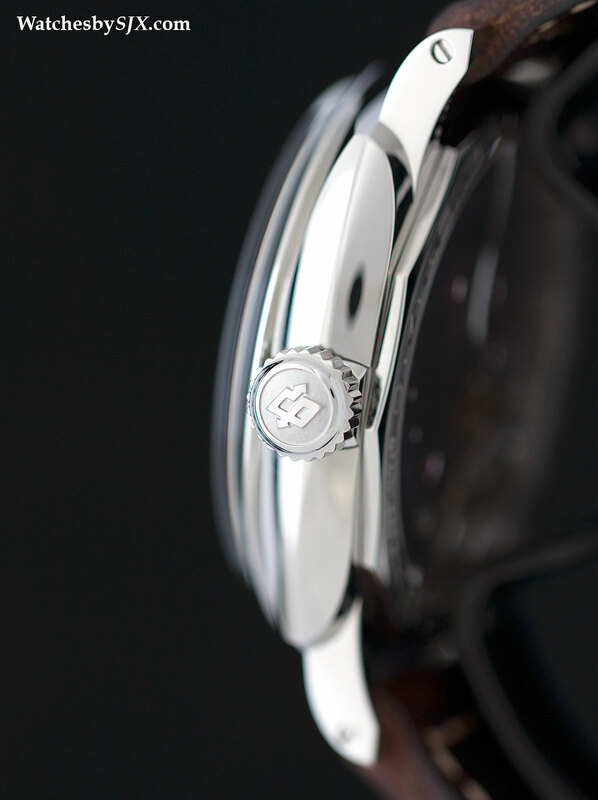 The case is polished steel and 47 mm in diameter, a high, domed Plexiglas crystal. Though it appears to be a simple form at first glance, the case is carefully shaped, especially in the lugs and flanks. It is obviously made in two steps, first by stamping out the rough form, and then milled to get the details. 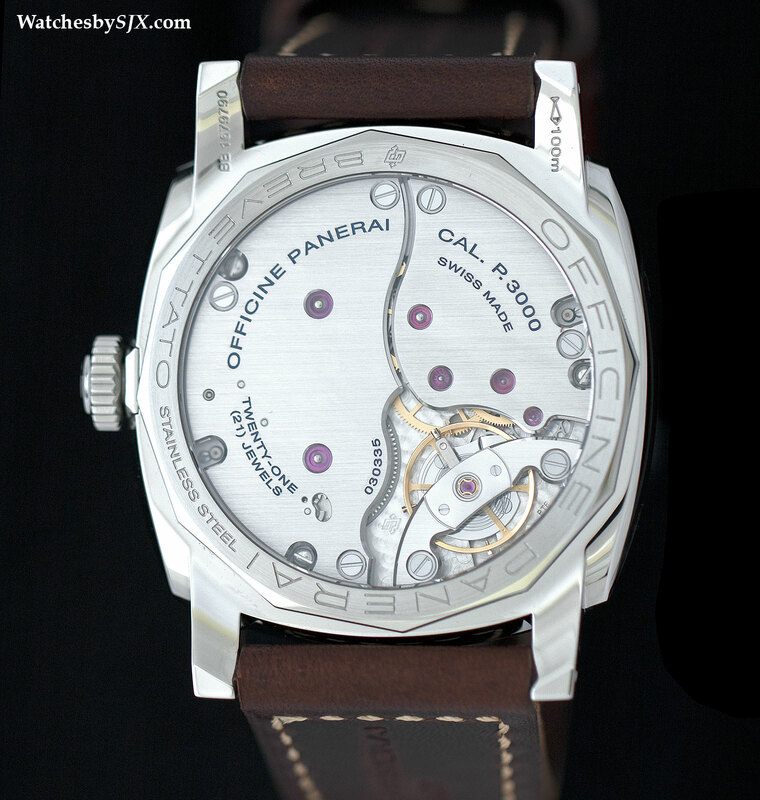 Visible on the back is the P.3000 movement. Though finished simply and mechanically the P.3000 has features that point towards stable, accurate timekeeping, including twin barrels and a large, free-sprung balance wheel. 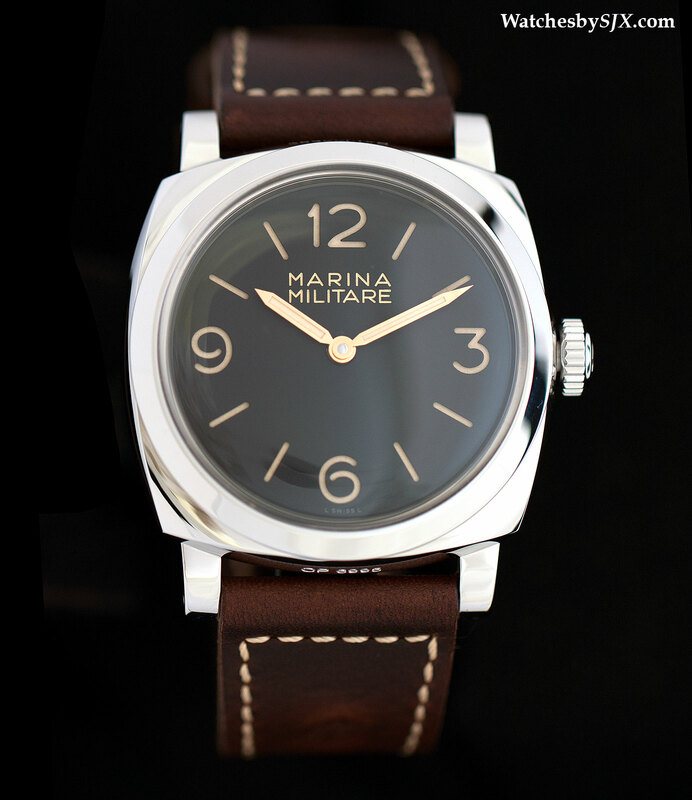 Notably the Radiomir 1940 Marina Militare features a newly developed leather strap that has the OP logo stamped on both ends of the strap – it looks silly but fortunately Panerai straps are a breeze to swap with thousands of options available. The Radiomir 1940 Marina Militare is a special edition of 1000 numbered pieces with a price of US$10,100. Panerai typically has a habit of making new editions based on successful, ostensibly limited models, and it remains to be seen if this Radiomir 1940 will be a one-off.